I Love Music/Notes - 2 Sizes! Looking for the perfect Birthday or Christmas gift? 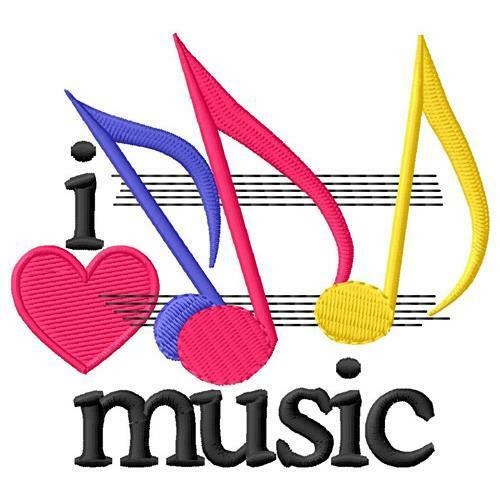 Embroider this design on clothes, towels, pillows, gym bags, quilts, t-shirts, jackets or wall hangings for your music lover! A Bass Player - 3 Sizes! A Piano Player - 3 Sizes! Country Music Heart - 2 Sizes! Finish Size 4.04" x 3.66"
Finish Size 6.73" x 6.08"